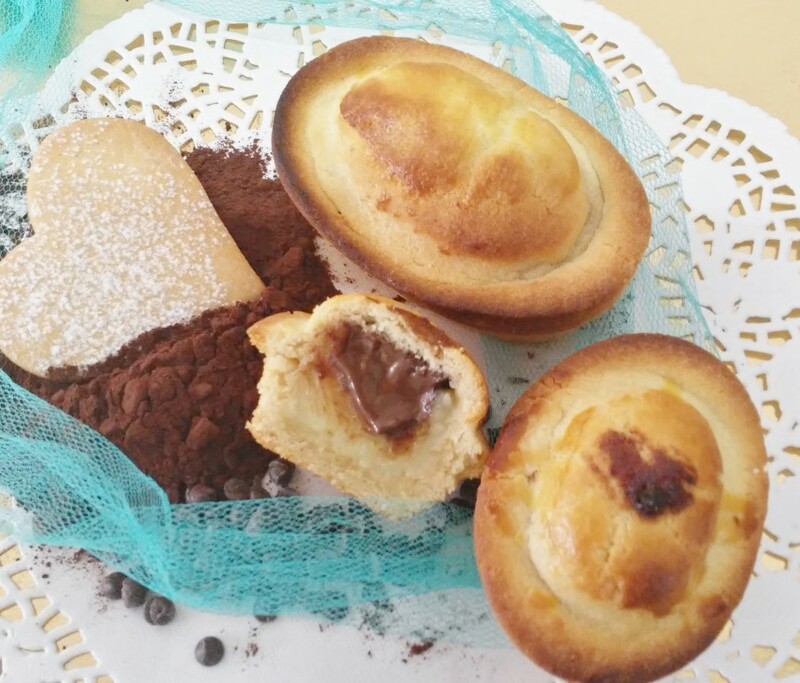 Pasticciotto is the dessert of Salento, the southern region of Puglia. A type of custard pie, you will find this in every cake shop, coffee shop and restaurant – it’s perfect with a strong espresso. While lard is traditionally used in the pastry to make it softer, you can substitute it for butter – it will just have a slightly crisper finish. Start by making the pastry. Place the flour, baking powder, granulated sugar, 1 pinch of fine sea salt and the lard in an electric mixer with the paddle attachment, and mix on a low speed until the mixture resembles large breadcrumbs. Separate 7 of the eggs (save the whites for another recipe), and add 1 of the egg yolks to the mixer and mix until just combined. Repeat with 2 more egg yolks. As soon as it forms a ball, cut it in half and flatten into two discs. If the pastry doesn’t come together, add a dash of milk. Wrap both in clingfilm and chill in the fridge for at least half an hour while you make the cream filling. Pour the milk into a heavy-bottom pan and place over a low heat. Add a few thick strips of lemon rind and leave to infuse while you prepare the other ingredients, removing the pan from the heat just before the milk starts to boil. Meanwhile, whisk the remaining 4 egg yolks in a large bowl with the caster sugar until pale and fluffy. Beat in the cornflour and the extra tablespoon of flour until smooth. As the milk reaches just before the boil, slowly pour it over the eggs, whisking continuously so the eggs don’t scramble, to make a custard. Once it’s smooth, pour it back into the pan and warm over a medium heat to thicken, whisking all the time – don’t let it boil. Once it has thickened, strain it into a bowl, discarding the lemon rind, and place a layer of clingfilm directly on the top of the custard, to stop it forming a skin. Leave it to cool, then place in the fridge until cold. Grease 10 oval pastry moulds or a 10-hole muffin tray. Take one of the pastry discs out of the fridge and roll it out until it’s slightly thicker than a £1 coin. Drape the pastry over the moulds or the tray and gently push the pastry into the moulds. Roll the rolling pin over the top to cut away the excess and remove it. You could also cut 8½cm-diameter circles with a cutter, or using a jam jar as a guide. Scoop 1 teaspoon of gianduja (see tip) into the bottom of each pastry case. Place the custard into a piping bag and pipe enough into each mould so it sits just below the edge of the pastry. Take the remaining pastry disc out of the fridge, roll it out so it’s a little thinner than the one before, and drape it over the moulds. Using your hands, gently press the top layer of pastry into the edges of the pastry base to seal the two together. Beat the remaining egg, then brush the top and bake for 15 to 20 minutes, or until golden on top. Leave to cool in the tins for 10 minutes and serve. Gianduja is chocolate made with hazelnut purée – a bit like Nutella, but of a much higher quality. You can find it at souschef.co.uk, or just substitute Nutella, if you like.